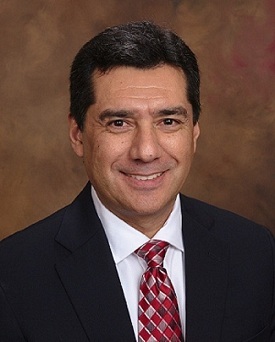 Edmundo De la Rosa has been appointed International Sales Manager – Latin America for Dorner Mfg. Corp. This is a new position created by Dorner with the goal of establishing brand recognition and growing sales in Latin American markets. De la Rosa brings to Dorner more than 25 years material handling and engineering experience, with expertise in business development, product packaging, process manufacturing and other related areas. Dorner continues its steady ascent in the material handling industry through a mix of customer service and custom-built industrial and sanitary low-profile belt conveyors. In the past 18 months alone, Dorner has launched several new conveyor platforms targeted at the packaging and automation industries including SmartFlex Pallet Systems, Precision Move Pallet Systems, sanitary flexible chain conveyors, and others. “I’m looking forward to joining Dorner and helping drive product awareness, customer support and new business opportunities to the Latin American markets,” De la Rosa said. De la Rosa can be reached at 480-662-0628 or edmundo.delarosa@dorner.com. Hartland, Wisconsin-based Dorner Manufacturing is a world leader in the design, manufacture, and distribution of high-quality conveyors and related equipment. Since 1973, companies from around the world have turned to Dorner conveyors for greatly improved efficiency and productivity. For more information about products or company news, visit Dorner’s Web site at www.dornerconveyors.com or call 1-800-397-8664.